One of the best things about Cinematic Saturdays is that we get to bring back some oldies but goodies. One of my favorite stories of all time? 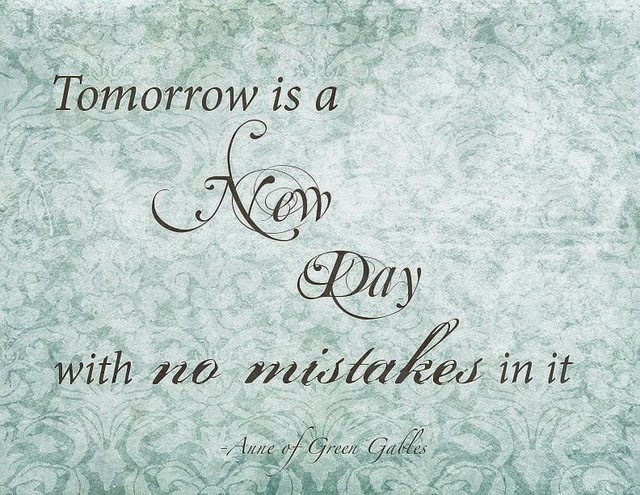 ANNE OF GREEN GABLES. Partially because I can understand the woes of being a redhead (I'm not joking!! ), but also because these stories consist of a nostalgic, wholesome, and simple read. Not that the books themselves are simple, each book (there are 8 of them) have teenie tiny typing crammed into each novel that takes me a full day to read if I start in the morning and end at night with very little distraction. I hope you enjoy today's Cinematic Saturday!! 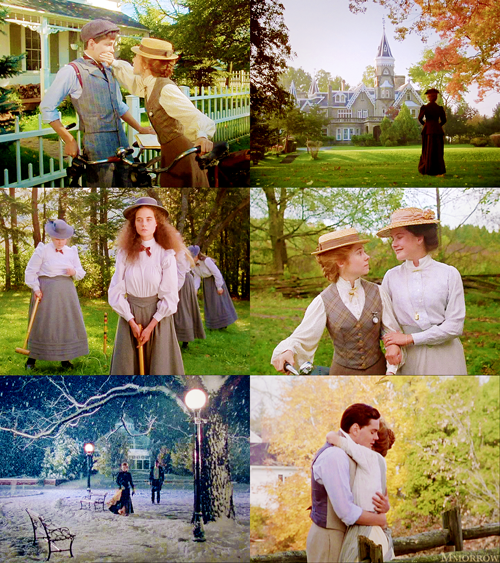 As soon as Anne Shirley arrived at the snug, white farmhouse called Green Gables, she knew she wanted to stay forever... but would the Cuthberts send her back to the orphanage? Anne knows she's not what they expected -- a skinny girl with decidedly red hair and a temper to match. If only she could convince them to let her stay, she'd try very hard not to keep rushing headlong into scrapes or blurt out the very first thing she had to say. 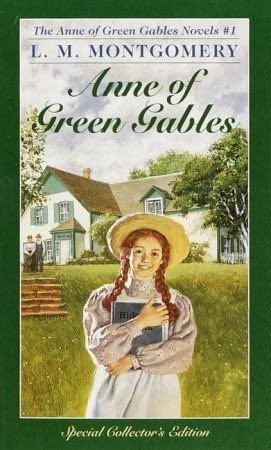 Anne was not like anybody else, everyone at Green Gables agreed; she was special -- a girl with an enormous imagination. 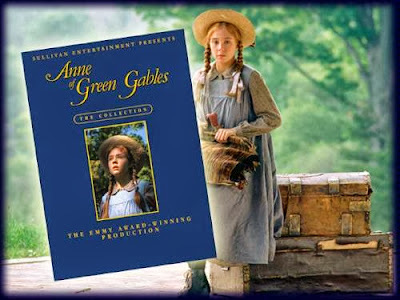 This orphan girl dreamed of the day when she could call herself Anne of Green Gables. *Sighs happily* This is one of my most favorite series of all time. It just makes me so happy. I actually enjoyed all of the books, all the way up to book 8. But let's not get ahead of ourselves! In the second and third books, we really get to watch Anne grow up. We journey with her through college, her discorded relationship with Gilbert....and let us not forget her relationship with her "ideal" man. There are so many fun and unique characters we meet during this time. We have moments of laughter and there were even parts that broke my heart! But I loved every minute of it! As we get further into the books, the story shifts a bit. 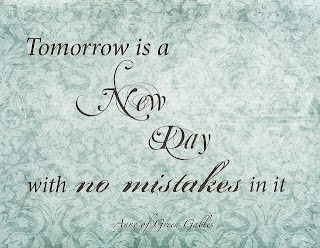 It becomes a story of life, love, and family. We get to watch Anne become a woman and a mother. We travel through her journey of parenting and watch her create new relationships as others leave us. It's just such a feel-good read! Okay, if you called me Carrots and pulled my hair, I would probably break a slate over your head, too! It was "Love At First Slate" hardy har har. That being said, I thought the first movie was GREAT and stayed very close to the first book. Now, for the third movie. WHAT. THE. HECK. I mean seriously. What the heck??? I understand that Megan Follows basically wrote this script and wanted to put Anne in a contemporary setting, but did you really have to throw the last 5 books out the window for that?? It's blasphemy! BLAS.PHE.MY. You may be able to tell how I feel about this movie without me going any further. But let me just comment a bit. First of all, this movie stressed me out SO much. I mean the whole time my blood pressure was rising. This is not meant to be a thriller, but that is exactly what they made it. I hated it. Basically, Gilbert got a job at a hospital in New York where Anne was trying to become an accomplished writer. This was when World War I was starting and many of their friends were signing up to fight in the war. There were several of our old friends who lost their lives in the war, and right before their wedding, Gilbert decided to enlist. Their wedding (that we've been waiting FOREVER for) was depressing, and Gilbert ended up MIA. 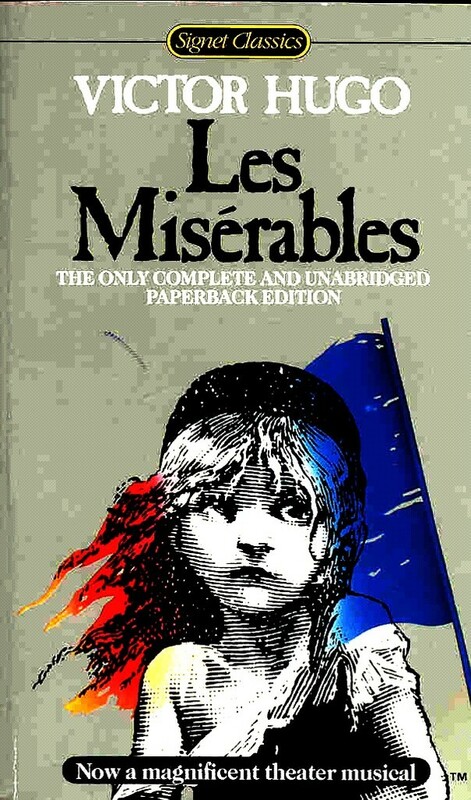 Anne goes over to France to find him and basically finds herself in the heart of the war. In the meantime, this dude named Jack keeps chasing after her knowing she's a MARRIED WOMAN and is also involved in some secret underground business that really isn't safe for anyone. He also has a wife and child (Dominic), but his wife ends up dying, so Anne watches over his child and as her search for Gilbert is coming up fruitless, he tries to convince her to go back to the states with him and raise his child with him. UGH! Here's the thing, near the end when Anne is finally reunited with Gilbert on the train, it made me SO upset when she tells Jerk...I mean, Jack, as he lay there dying from a gunshot wound, that she will always think of Dominic as THEIR son. ....Excuse me, Anne? Did you board the stupid train (literally and figuratively)? I think you forgot your undying love and dedication is to Gilbert. No. Just no. This is not how it's supposed to be! In the books, her and Gilbert end up together, unswayed in any other direction, and have a complete and beautiful family TOGETHER. As in, with just each other! I mean, the whole adopting Dominic and rehashing her own history was all sweet and dandy, but the way all that came about was absurd. And you're left with the impression that even though her and Gilbert are happily reunited, she's always going to have this other dude on her mind as she's raising their now-child. Like I said, it's all so absurd!! So there ya go. The three movie-adaptations put out by Kevin Sullivan. 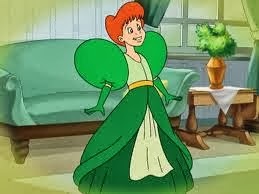 I know "puff sleeves" are a thing for you, Anne, but those are straight up ridiculous. 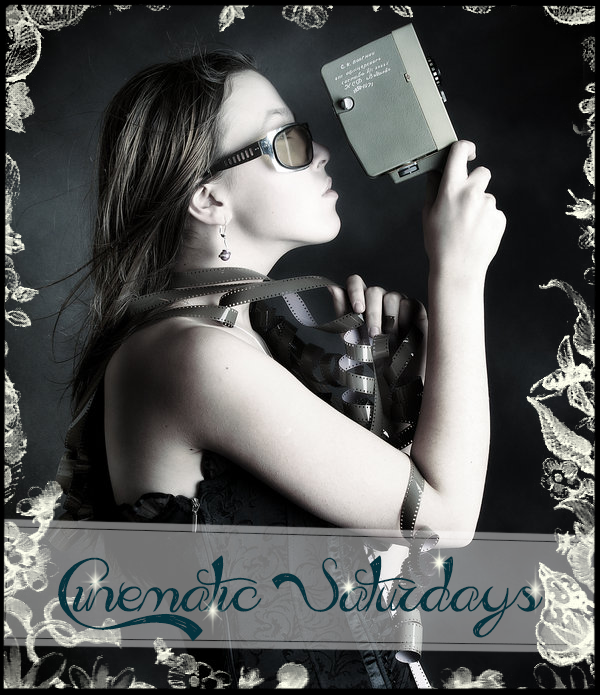 I hope you all enjoyed today's installment of Cinematic Saturdays! Feel free to include your thoughts, your love for AOGG, your hate you may share with me on the third movie, and whatever else your heart desires!